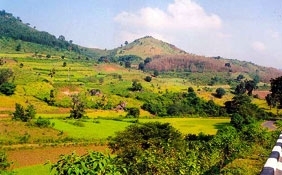 India Hill Stations are a favorite holiday destination for the Indians as well as foreigners. Badrinath, Dharamsala, Gangotri and Mukteshwar are some of the best hill stations in India that have attracted thousands of pilgrims from all the corners of the globe. The temples situated at the mountain peaks offer a beautiful sight. Pilgrims- young and old- climb up the sloping hills to offer their worship to the respective deities. 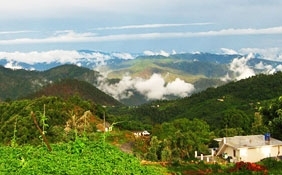 Almora, Anantagiri Hills, Aruku Valley, Bhimtal, Chail, Chamba, Chikaldhara Hills, Coonoor, Coorg and Dalhousie are among other top hill stations of India. 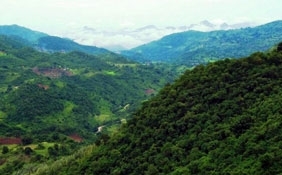 The hilly terrains in West Bengal include Darjeeling. The lush green tea estates and the sight of local people picking tea leaves are a beautiful sight to watch. 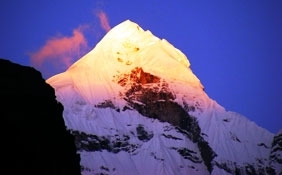 Some of the hill stations are specially meant for the newly wed couples. Khandala, Kodaikanal, Kullu, Ladakh, Manali, Nainital, Ooty and Shimla are the honeymooner's first choice. The secluded hilly vistas surrounded by heavy floating clouds in the sky and fogs everywhere serve as a perfect romantic setting. Couples can enjoy the most memorable days of their life here. North India Hill Stations has always been an epitome of heavenly beauty. The hilly regions surrounding Kashmir is considered to be the most beautiful place on earth. Gulmarg, Kalimpong and Srinagar are the top hill stations of India. Munnar in Kerala needs a special mention. 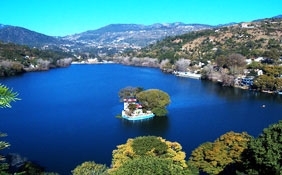 When you speak of some of the most popular Hill Stations in India, then this place is a must include in your itinerary. The clear water of the blue lake situated beside the green majestic hill is a awesome sight. 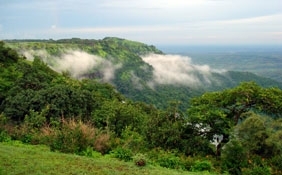 Other famous Hill Stations in India are Devikulam, Idukki, Kangra, Kasauli, Khajjiar, Kotagiri, Kufri, Lonavala, Mahabaleshwar, Matheran, Mirik, Mount Abu, Mussoorie, Nandi Hills, Pachmarhi, Pahalgam, Panchgani, Panhala, Pithoragarh, Ranikhet, Shillong, Sonamarg, Wayanad and Zanskar.